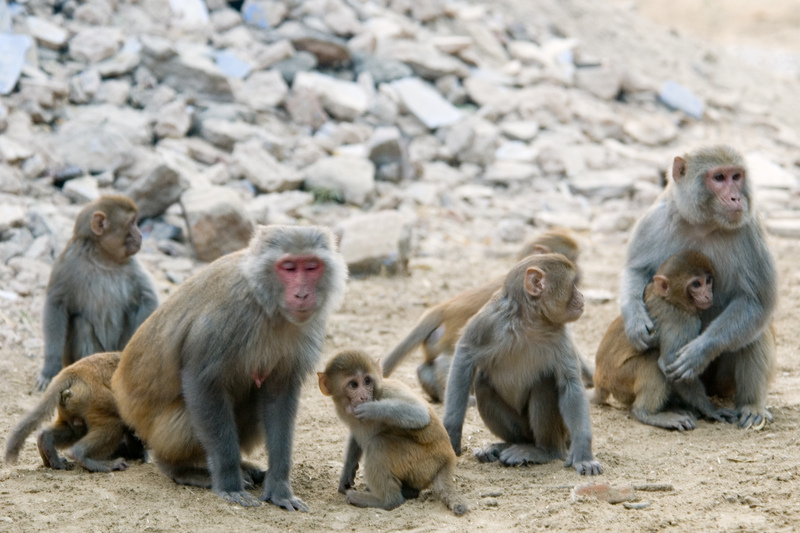 Science is one step closer to helping paralyzed humans walk — and monkeys might help them do so. According to a paper published on Thursday, researchers at the Swiss Federal Institute of Technology in Lausanne have developed a microchip technology that allows monkeys with spinal injuries to regain control of their legs, a breakthrough that could be applied to humans in several years. The results in monkeys are based on decades of experiments in rats, neuroscientist Grégoire Courtin told the journal Nature. In order to apply the research to monkeys, researchers had to first map out the way the brain sent electric signals to leg muscles in non-paralyzed monkeys. By implanting 100 electrodes in a region of the motor cortex that controls the leg, researchers can wirelessly send electric signals to a computer that decodes the motor intention of the primates. The computer then wirelessly sends the decoded message back to a implanted stimulator in the spine that generates electric pulses in the leg to trigger movement at the right time and in the correct order. A computer allows the sensor to wirelessly receive decoded information. The sensor for the experiment was developed by the BrainGate collaboration, a research team that includes scientists from Brown University, Case Western Reserve University, Massachusetts General Hospital, the Providence VA Medical Center, and Stanford University. The technology has also been used in studies where a tetraplegic human patient was able to operate a robotic arm simply by thinking about the movement. Researchers in Lausanne are now working on making sure that monkeys can control their leg muscles well enough to support their own weight and maintain balance. As promising as the recent study is, a lot more research will have to be done before the technology can be used for humans. Human brains are much more neurologically complicated and require a number of different signals to process movement. Using a general map of electric activity, like the one applied to the monkeys in the study, wouldn’t necessarily work for humans. It will take a lot more research for scientists to accurately map the neurosignals required for human leg movement. A clinical trial with humans has begun at the CHUV University Hospital of Lausanne, but it will not include the microelectrode implant that would allow the subject to control their own movements. Still, once the technology has been perfected it will be a huge step up from robotic products, like SuitX, which still require heavy equipment to allow paraplegics to walk. An emergence of brain-controlled robotic limbs in the past year offers promising news to amputees, but movement without the help of robotics could change life drastically for paralyzed individuals.